Andres Iniesta says he will leave Barcelona after 16 trophy-filled seasons with the Spanish soccer club. Iniesta, who turns 34 on May 11, says “this season is the last.” Iniesta joined Barcelona’s youth academy when he was 12. He went on to become one of the best players in its history, helping the team win 31 titles - a club record he shares with Lionel Messi. 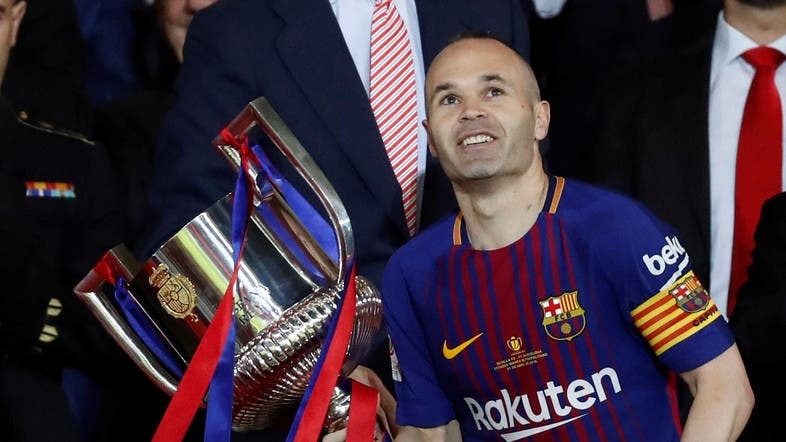 Iniesta is expected to get one more trophy for the club with Barcelona on the cusp of clinching the Spanish league title.